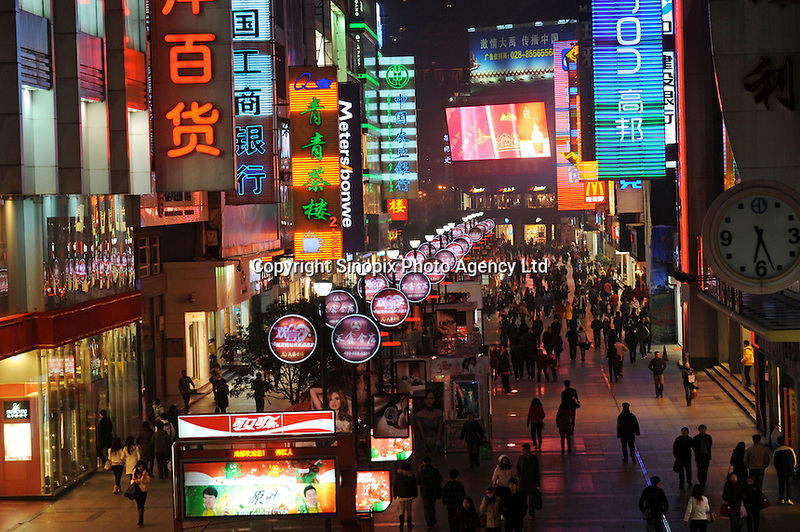 Shoppers crowd into Chunxi street, a famous shopping street in Chengdu, China. Economic conditions had been greatly improved both domestically and externally as China's economy consolidates its recovering trend. According to the figures from the National Bureau of Statistics (NBS), China's consumer price index (CPI), a main gauge of inflation, rose 0.6 percent year on year in November..